It sounds like a dream job: Get paid to read books all day. For many professional proofreaders, that’s exactly what they do for a living. You can too. It just takes a little bit of leg work and some natural talent to get established. Today, the publishing industry is a lot different than it was 10 years ago. It used to be, big-name authors and well-established writers were the only ones able to get book deals. But, that’s no longer the case. Thanks to e-books and online publishing platforms, like Amazon Kindle Direct Publishing, pretty much anyone with a desire to can write, publish, and sell an ebook. But, before a book goes to print — whether virtually or on paper — a number of steps should take place first. One of the most important of which is proofreading. When a proofreader comes across any above mentioned errors, they note them using common proofreader marks. These mistakes are then corrected before the book is published. We know what proofreading is — reading text in search of errors involving spelling, punctuation, grammar, and format. Proofreading does not involve fact checking, rewriting for clarity, or identifying other readability issues. These content and flow problems are addressed during the editing process. Remember, proofreading is the final step in the writing process. The proofreader goes over text with a fine-tooth comb to identify typos, grammatical errors, and instances where formatting is not as it should be. The proofreader is not tasked with rewriting chunks of text or addressing confusing passages. That is the editor’s job. It takes a lot of time, energy, and effort to write an ebook. And the last thing the writer wants is to send something to print that is riddled with errors. Not only is it embarrassing, but it can affect the overall sales of a book. And, at the end of the day, authors are in the book writing business to make money. Books that are sold with common spelling mistakes or grammatical gaffes reflect poorly on the writer and can keep them from making sales both now and in the future. If you have a knack for spotting errors and are an avid reader, you already have the makings of a professional proofreader. But to take your natural skills and turn them into a profitable job takes some work. For starters, you’re going to need to learn the tools of the trade. This includes things like common proofreader marks, mistakes proofreaders must identify, and knowing where and how to find work. I’ve written about 16+ online editing and proofreading jobs you can do from home.This list contains a number of beginner-friendly options for those who want to try their hand at proofreading before going full time. Keep in mind, not all jobs listed will pay you to read books. There are gigs for proofreading academic papers, marketing materials, and web content (to name a few). You also have the option of signing up for freelance marketplace sites, like Upwork. There, you’ll find proofreading gigs frequently posted by clients who need a fresh set of eyes on their content. Again, the types of jobs will vary from one posting to the next. Sometimes there will be offers to get paid to read books, but not always. There is also an opportunity for you to find clients on your own. That is, you can approach ebook authors and writers with an offer to proofread their work before it gets published. You simply pitch your services to said writers and explain to them the benefit of using your proofreading services. It’s a lot to take in. I know. And, if you’re feeling overwhelmed as a beginner, don’t fret just yet. 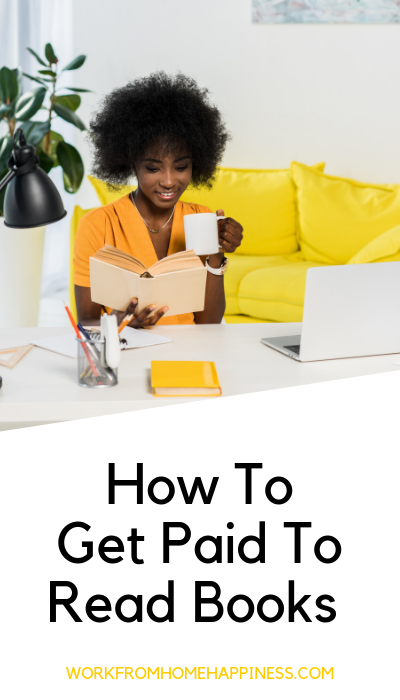 There are a couple of great resources out there for aspiring proofreaders, like you, who want to get paid to read books all day. First up, there’s ProofreadAnywhere. The General Proofreading And Theory Course will prepare you to proofread professionally and help you find work. The free proofreading webinar is a great place to start. In just 45 minutes, you can figure out what it takes to be a professional proofreader and whether or not it’s something you can see yourself doing. Another option is Art of Proofreading. This course was developed by my friend, Phon. She gets paid to read romance novels. And after years of working with publishers, she’s sharing her insider’s knowledge with you. Sign up for her free introductory lessons to gain industry insight from a professional who’s been exactly where you are! If you’re not ready to jump all into a proofreading career, that’s okay too. When you’re curious about professional proofreading but aren’t ready to go all in, I highly recommend reading up on the subject. In fact, it’s highly recommended that you conduct research before making a career change. This helps ensure you make the right decision and can tackle your new career confidently. An affordable resource to start researching proofreading as a profession is the book, Copyediting & Proofreading for Dummies. This book can help you improve your skills, master publishing lingo, and prepare for a full-time or freelance proofreading career. The best part? You can get it on Amazon today for under $15. All you need is the free Amazon Kindle Reading App (you can download it on your phone, tablet, or computer) and — voila — you now you have a valuable proofreading resource right at your fingertips. There you have it — how to finally turn your bibliophile ways into a career as a professional proofreader. Don’t expect to launch a profitable proofreading career overnight. Instead, take your time and do the research! 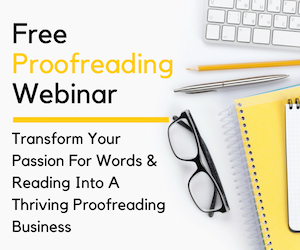 Sign up for the FREE PROOFREADING WEBINAR over at ProofreadAnywhere. 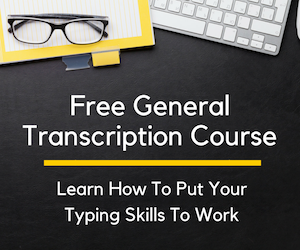 This is a great place to start as a beginner, as you can get a feel for the profession without spending a penny. P.S. This post contains affiliate links. Check out my disclosure statement to learn more. My friend’s sister is a working mom and is doing great as a proofreader. She made her hobby of reading books as her profession by learning essential proofreading skills and her passion to read. 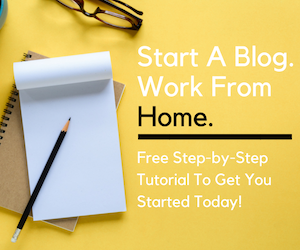 Like proofreading, there are so many other work from home jobs which one can easily opt for with learning basic skills like blogging, transcription, or virtual assistants. I am currently a part time worker at a doctors office. I just had a baby 3 months ago so sometimes my work schedule gets less than I want with family getting sick or busy and can’t watch my baby. Would this be a good potential job for me even sometimes working at my other job?